Courses in Modern Greek Language and Culture in Lesvos. Would you like to combine holidays on a beautiful Greek island with learning and reflection? Would you like to enjoy the unique life of a village which claims one of the most scenic beaches in Greece? Then join the Courses in Greek Language and Culture, in the village of Eresos, on the island of Lesvos! Stay as long as you want. Join the courses when it suits you. Learn by contributing you own ideas to our group conversations. 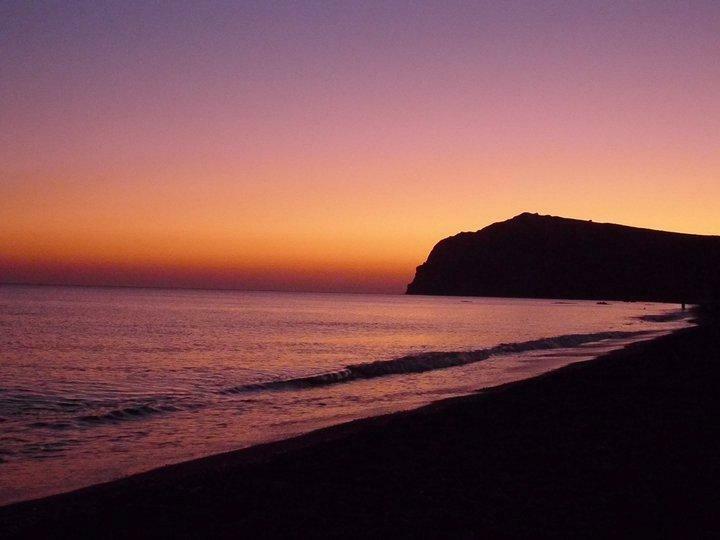 Enjoy the sun and the sea on the 2,5km beach of Eresos. The Greek Courses will teach you Modern Greek and offer you a window onto Greek culture, ancient and modern. The Greek Seminar will encourage you to relate this culture to your own life. Eresos will give you spectacular sunsets and an unspoilt atmosphere combined with the plain elegance of a Mediterranean retreat. Register Here for the Greek Courses!